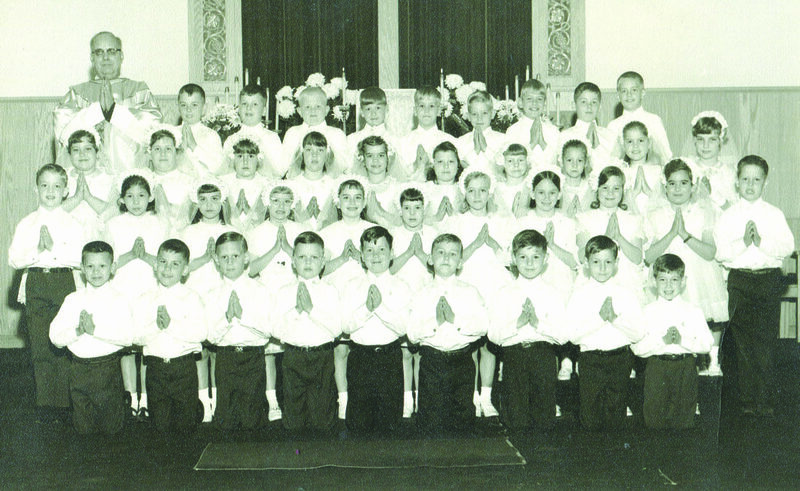 Jeffrey Woods of Altoona submitted this photo of the First Holy Communion class at St. Mary’s Catholic Church, Hollidaysburg. The photo was taken on May 5, 1968. Shown are (from left): first row — Michael Altmanshofer, Gregory Gildea, Brian Varga, Thomas Kowaleski, Michael Rossman, Thomas Karcher, Terrence Sullivan, Lawrence Kerila and Thomas Carles; second row — John Emery, Helen Mielnik, Lori Figurelli, Elaine Knab, Shelly Ritchey, Shirley Baker, Judith Benton, Alicia Ward, Tawny Kehler, Karen Schmitt and John Stalter; third row — Sherri Smilnak, Michelle Hines, Regina Daus, Teresa Hite, Enid Haller, Carole Daus, Susan Helsel, Denise Morning, Sarah Ward and Linda Harris; fourth row — Father Kirkpatrick, Jeffrey Woods, Robert Leighty, John Ringler, Paul Wolf, Todd Jenny, Mark Harris, John Hedstrom John McNelis and Richard Balliet. Readers are encouraged to send or deliver old local photographs of general interest for use in Yesteryear. Information about people and places should be included. 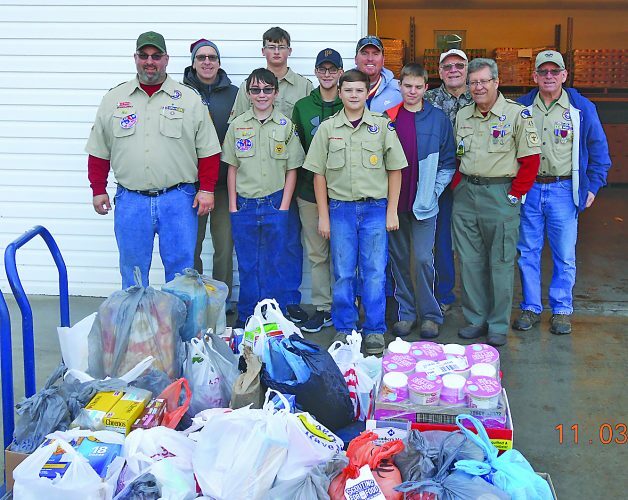 Photos must be 30 years old or older and should be sent to Yesteryear, Altoona Mirror, P.O. Box 2008, Altoona, PA 16603, or delivered to the Editorial Department. Jeffrey Woods of Altoona submitted this photo of the First Holy Communion class at St. Mary’s Catholic Church, Hollidaysburg. The photo was taken on May 5, 1968. Shown are (from left): first row — Michael Altmanshofer, Gregory Gildea, Brian Varga, Thomas Kowaleski, Michael Rossman, Thomas Karcher, Terrence Sullivan, Lawrence Kerila and Thomas Carles; second row — John Emery, Helen Mielnik, Lori Figurelli, Elaine Knab, Shelly Ritchey, Shirley Baker, Judith Benton, Alicia Ward, Tawny Kehler, Karen Schmitt and John Stalter; third row — Sherri Smilnak, Michelle Hines, Regina Daus, Teresa Hite, Enid Haller, Carole Daus, Susan Helsel, Denise Morning, Sarah Ward and Linda Harris; fourth row — Father Kirkpatrick, Jeffrey Woods, Robert Leighty, John Ringler, Paul Wolf, Todd Jenny, Mark Harris, John Hedstrom John McNelis and Richard Balliet.